There are now nearly 3,500 substandard council-maintained road bridges in Great Britain, with only one in 10 likely to be repaired in the next five years. And the estimated cost of clearing the bridge maintenance backlog has risen by 30%, an increase of a billion pounds. Fresh results from the annual RAC Foundation bridge condition survey, supported by council directors’ body ADEPT, show that 3,441 structures over 1.5m in span are not fit to carry the heaviest vehicles now seen on British roads, including lorries of up to 44 tonnes. This represents 4.6% of the approximately 74,000 bridges on the local road network and is up on the 3,203 substandard bridges identified a year ago. Many of these bridges have weight restrictions. Others will be under programmes of increased monitoring or even managed decline. Steve Gooding, director of the RAC Foundation, called the news ‘unwelcome, if unsurprising’. ‘The road maintenance crisis faced by financially-beleaguered councils is often reported in terms of potholes to be filled but this research hints at the wide spectrum of things needing attention, including blocked gulleys, overgrown verges and, of course, fragile bridges,' he said. 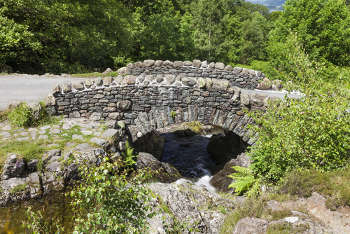 The RAC Foundation said that councils would ideally want to bring 2,077 of the substandard bridges back up to standard but that budget restrictions mean that councils only anticipate 370 of these will have the necessary work carried out on them within the next five years. Graham Cole, deputy chairman of the ADEPT National Bridges Group, said the increase in reported substandard bridges was probably due to more accurate data. He said: ‘Councils continue to effectively manage their bridges, including substandard bridges, in accordance with national guidelines to maintain the safety of the public. While Devon County Council had the highest number of substandard bridges (249, representing 6% of its 3,867 bridges), all of Redbridge Council’s 25 bridges are substandard.